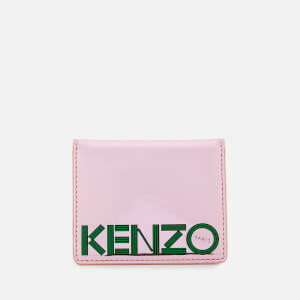 Logo passport holder from Parisian fashion house, KENZO. Showcasing a metallic pink design with signature green logo branding, the case opens to reveal three slip pockets and space to hold a passport. Arrives with a KENZO dust bag.